Literature PACEs are sequential through to Year 6/7 as Literature and Creative Writing. After this, student do the secondary course Basic Literature. Contact us for more detailed assistance. Literature resources include biographies and classic novels, the focus being on building Christian character and challenging mainstream ideas. Activities involve analysis of the resource books and also include writing exercises. In the secondary Basic Literature series, students use paragraph outlining and writing drafts, to reinforce work done in the English PACEs. Year 11 and 12 Literature is incorporated into the English PACEs. 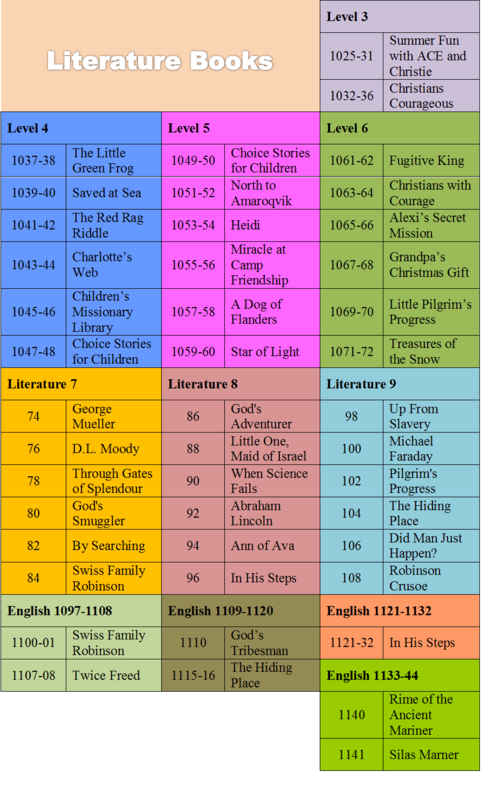 The table below lists the literature resource books used in the Literature and Creative Writing, Basic Literature, and Secondary English PACEs. Members – Log in to see ideas to “Make Basic Literature Come Alive”. Go to the Member Area and click Hints and Tips.